-A Colorful Environment, Video Games, Chair-Side TV Monitors and Toy Chest Digital Radiography, Advanced Technology and Careful Sterilization We always involve parents in their child’s care and treatment and welcome parents to stay with their children during treatment. And, of course, every child receives the one-on-one time, praise and attention he or she needs. This is the kind of dentistry your child deserves. Ehrenman & Khan Pediatric Dentistry cares for all of your child’s oral health needs in a fun, kid-friendly environment that includes iPads and chairside TV monitors. Drs. Ehrenman and Khan are dedicated and trained to ease dental anxieties for young children as well as patients with special needs. Their years of advanced training include hospital and sedation dentistry. 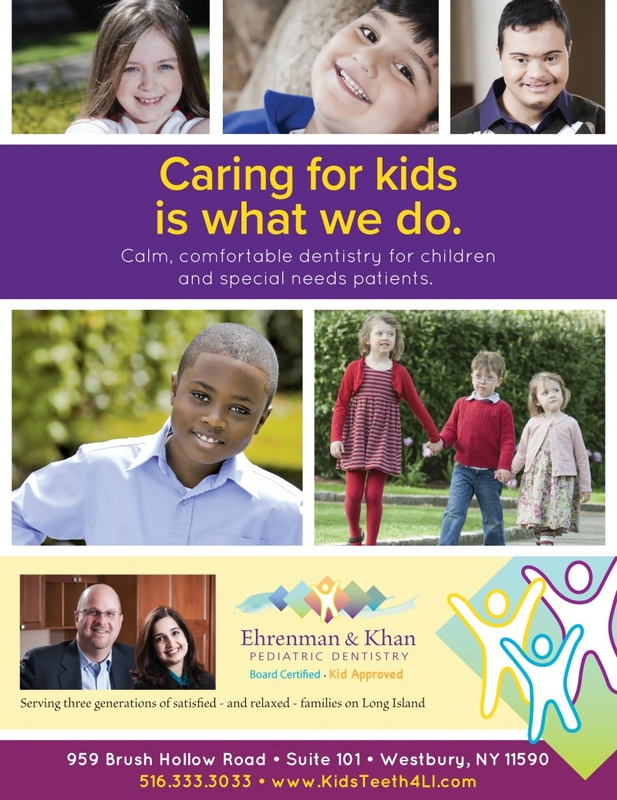 Please visit kidsteeth4li.com to learn more about what Ehrenman & Khan Pediatric Dentistry has to offer!